I don’t normally make requests when it comes to ordering a Girl Charlee KnitFix – I sort of love the element of surprise. However, when I saw the mint pink multi-strip in July’s preview, I knew I had to have it. Thankfully, they do a good job honoring requests and that is exactly what I received in my bag. This weekend, I put it to good use and made and oldie, but goodie, Jalie 2005. 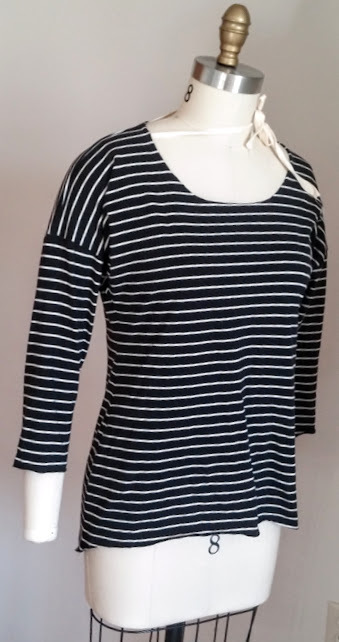 I felt like this top had a nautical feel and needed to become a boatneck style…. And I love the results! The fabric is pretty sheer in the oatmeal stripe sections – it’s very much like a burnout in these areas. I cut the sleeves twice to get the stripes to match up. I just couldn’t handle them being ‘off’. I am extremely happy with the end result even if I wound up having to use more fabric than what I anticipated. The material must also have a very high rayon content because I almost melted it with my iron! The arms in this top are pretty tight. I think I could have easily gone up a size and not had it look too big on me at all. I also should have lengthened the hem some as well, it is pretty short in comparison to other tops right now. I entered this into a contest to win…. more fabric. I had hoped to make a few more (I did make one more, but more on that tomorrow) to increase my chances, but never had the time to work on them all. This entry was posted in Knit Fix on August 8, 2016 by stacy. 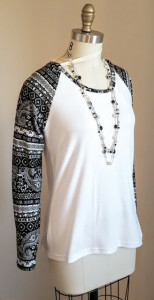 When it came to trendy tops this season, I really only had in mind making one peek-a-boo shoulder style top. That is until I saw Deepika’s review of Burda Style’s Cold Shoulder Top…. then I knew I had to make another. 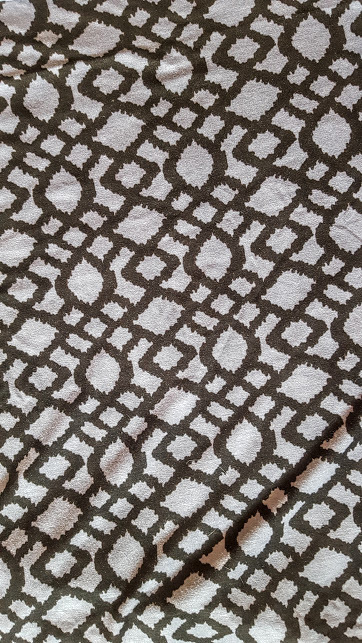 It’s been ages since I’ve sewn with Burda’s magazine and working with this pattern reminded me why…. I hate tracing\adding seam allowances and the instructions are horrible. How horrible? I just winged the neckline because I was in a hurry and didn’t want to decypher what they were trying to get you to do (in hindsight, I think my ‘method’ – sewing the band to the neckline then folding under the seam allowances on the shoulder\’open parts’, then topstitching – worked just as well and was much easier than what Burda Style was asking you to do). The fit on this one is spot on…. except (like many other reviewers have noted) it comes out way too long. How long you ask? 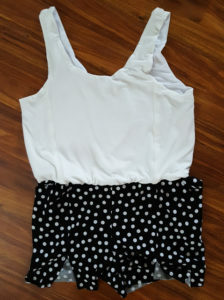 This top almost became a dress. In fact, I really liked it as a dress. Unfortunately, it would be too short to wear after adding a hem so I opted to add a 3″ band at the bottom. The end result was cute, but it was still just a tad too short – when I raised my arms up over my head, I risked flashing everyone my underwear. 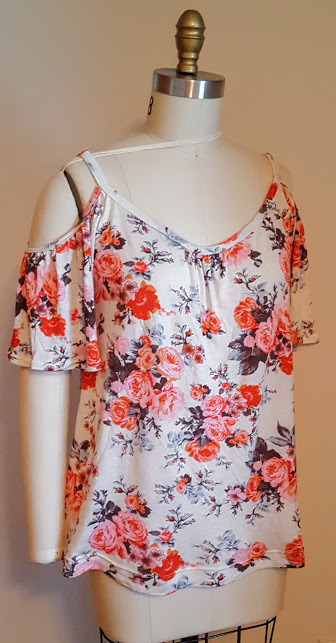 Plus, I figured I would get a lot more use out of a shirt before I would the dress – so I chopped off the band, took 2″ off the shirt and added a wide, 1″ hem. The finished result is still longer than most shirts that I own, but it is more figure flattering than the dress (you can see how the weight of the fabric pulls the dress down making it ‘blousier’, but the shirt shows off your curves a bit more. 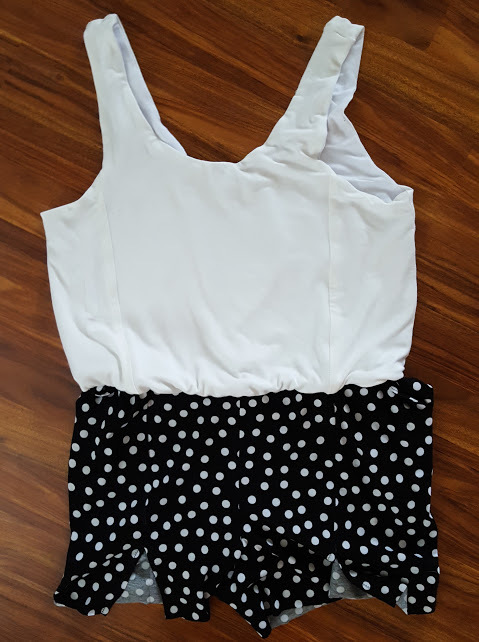 Would I sew this again? Maybe. Although I’m not sure how many off-the-shoulder style tops I need in my closet. I may consider lengthening the pattern some to make a dress sometime in the future, though. Would I recommend it? Yes, but beware of those instructions! This entry was posted in Knit Fix, Uncategorized on August 1, 2016 by stacy. Oh summer, I had such lofty goals for you! With one month left (and 5 days) before school starts, I thought I would have been so much more productive by now. Instead, it’s the baby steps I’m celebrating. Today’s small step? I managed to cut out material for one of my next projects, the Cold Shoulder project that I mentioned yesterday! 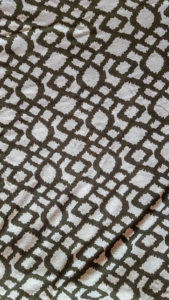 I decided to go with the Gray black lattice cotton spandex from Girl Charlee’s May Knitfix. Not only do I think that it should be a striking combo (the picture washed out the colors quite a bit), but I figured that I had better use up some of my previous month’s fabrics before I buy the one that comes out today. Now to find the time to sew! This entry was posted in Knit Fix on July 12, 2016 by stacy. With all the deadlines I’ve been working on, it feels like ages since I’ve been able to make something just for me. So this week, I sat down, cracked my December knit fix bag open, and went to work. 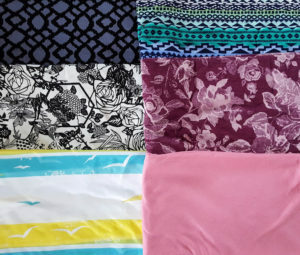 I settled on Peek-a-boo Pattern’s Rainier Raglan and the white floral baroque paisley…. my favorite fabric of the bunch. You may have already seen the final result if you’ve been following my posts this week at the BERNINA Instagram Takeover, but here she is again…. I really love this top! I actually wound up wearing this one out the same evening and “dressed” it up with a pretty necklace and black pants. Since I only used the paisley for the sleeves, I still have a bit of material left over from this project so I’m wondering what to make next with it? In the mean time, I’m plotting my next selfish sewing project. 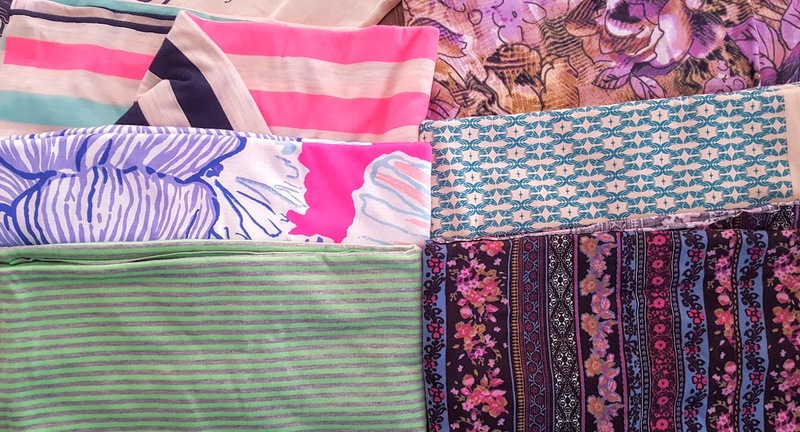 What’s on your sewing table for the weekend? This entry was posted in Knit Fix on February 12, 2016 by stacy. There is something about the month of October that makes for busy weekends. Maybe it’s the perfect fall weather (alright, not this year, it was still 90 degrees out yesterday) or just all the soccer games we have! 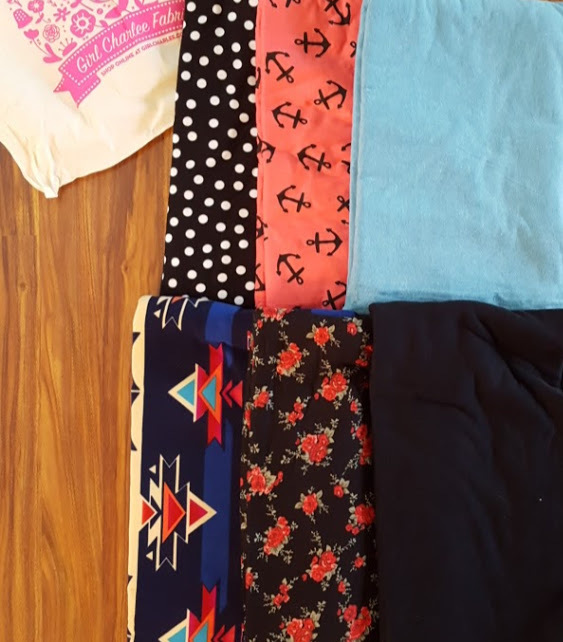 No matter what it is, sewing has been a slow work in progress. 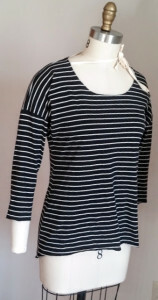 My latest creation is Jalie’s Dolman Top and the black and cream small stripe that I got in my September Girl Charlee Knit Fix bag. 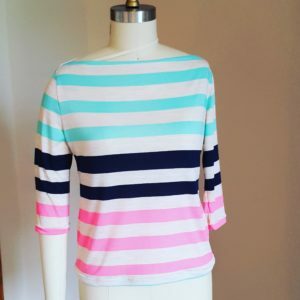 This was one of my favorite prints out of my bag (probably because I adore stripes) and I was itching to use it in a dolman pattern solely because the stripes look so interesting in the sleeve area. All that is left to do is hem everything (I was in a hurry to finish this for a contest deadline – the winners get a free October Knit Fix bag!). I’m anxious to wear this one, it definitely has a much dressier vibe to it that the others I have made (perhaps it’s the sleeves?) and I think it will look great paired up with another project I have in the works for later this week! This entry was posted in Knit Fix on October 12, 2015 by stacy.